One of the more curious aspects of the Metropolitan Transit Authority is that it will preserve archaic street names for no apparent reason. 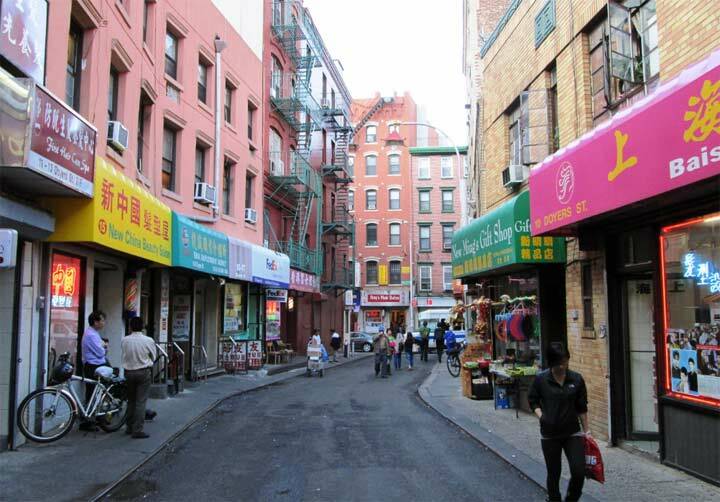 There was a rationale for preserving older Queens street names, as the Astoria line, the Liberty Avenue line, the Flushing Line and the Rockaway line do, because when these els were built, the old names were still fresh in the minds of oldtimers; Queens streets were renumbered beginning in 1915, a process that took about 15 years to finish. But the persistence of the Woodlawn Road signs on the Jerome Avenue line, or the #4 train, is something of a headscratcher. Woodlawn Road is simply the old name of Bainbridge Avenue between East 205th and Jerome Avenue at the Woodlawn Cemetery entrance. The name was changed decades ago to a northern extension of Bainbridge (creating a very odd intersection, but I’ll get to that on a future page). 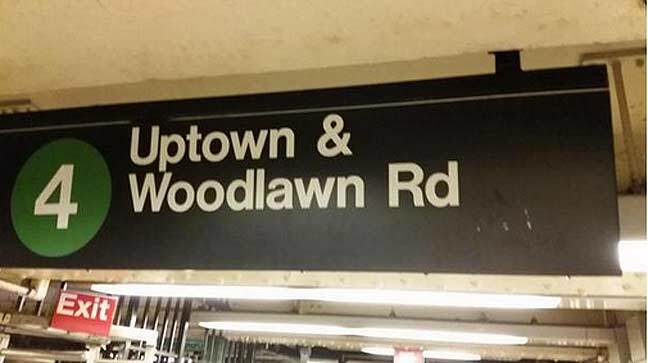 But I’ve seen station and roll signs (in the old cars) saying “Woodlawn Road” as long as I’ve been riding the trains. Well, as in Queens, the MTA has always done it this way. Why stop now? Up until the 2000’s the F Train stop was 22nd Ave Bay Parkway. The name has been Bay Parkway since the 1930’s. My Grandfather always told me when going from S.I. to Yankee Stadium “Take the Woodlawn-Jerome line.” When we would go to Brooklyn from Whitehall St. He would tell me to take the train with 2 green lights. A real old timer. Actually, the first mention of Woodlawn Road appeared on the subway roll signs for cars purchased in 1939. The LoVs which operated on the #4 until 1964 (although the train beared no number designation) said “Woodlawn -Jerome”, as did all station signage. When the Worlds Fair opened in April, 1964, the trains purchased for the first Worlds Fair were shifted to the number 4 and the Woodlawn Road designation began appearing on the subway cars. the Flushing line received new cars. I am not even sure if the name existed even in 1964 because I never could find it on any map. As far as I can remember the station was simply called “Woodlawn” on the maps and on the platform signs. The IRT postwar equipment, R17 through R33 that operated on the #4, did use the term “Woodlawn Road” on the cars’ roll signs, though that was never the official name of the last stop. The only place I can ever saw an actual “Woodlawn Road” was in Bermuda, on the way to Somerset at its far west end. Did not see the #4 train nearby!